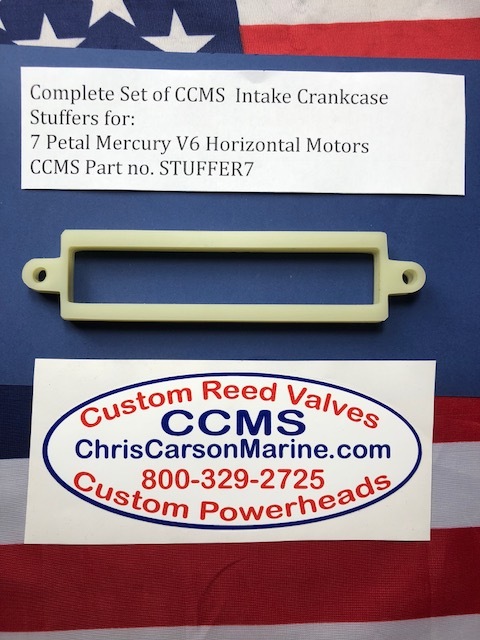 CCMS V6 Mercury Outboard Crackcase Stuffer Kit, used on 7 Petal Cage Motors. 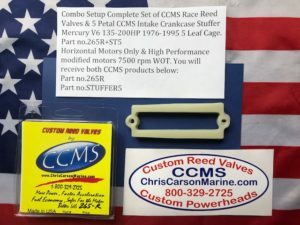 This kit mounts between the reed blocks and intake manifold reducing the crankcase volumn by moving the reeds toward the crankcase .065 in. 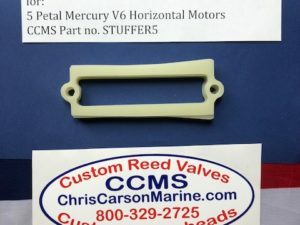 The results are the exact same gain as the common practice of milling the front half of the crankcase, but without the need to tear down the motor and the machine shop work. 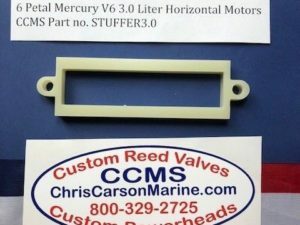 This is an inexpensive modification that is easily done while changing reeds. 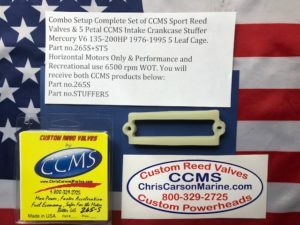 Our CCMS Reed Valves make a great combo for performance with theses Stuffers. Our Stuffers will only work on Horizontal Reed setup motors.